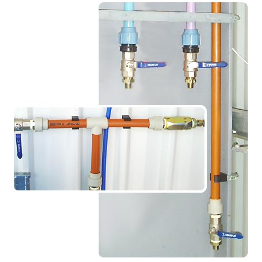 The Pro-Pipe II socket fusion range features the same clean, low-friction and non-corrosive qualities of the compression fittings range, which are valued in a huge number of applications because they are far easier and faster to erect than alternative systems.The socket fusion range of fittings are offered as a low-cost permanent alternative to the standard range of compression fittings. 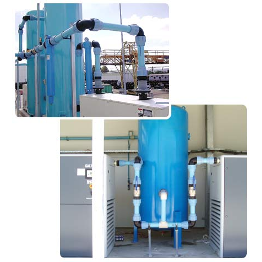 The socket fusion joint system is assembled using electric socket fusion welders. 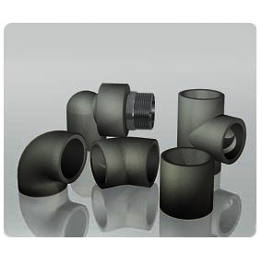 The standard socket fusion threaded joints are made from Nickel plated Brass however for chemically aggressive enviroments we can offer these fittings made from 316 Stainless Steel. 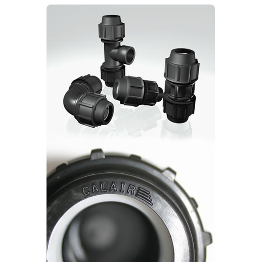 Our socket fusion products which complements our internationally successful compression fitting systems – is designed to provide another dimension to the CalAir product range. 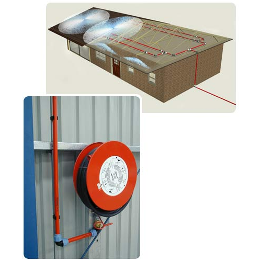 This will enable users to select the ideal CalAir jointing system most suited and most cost-effective for their ongoing needs.